Adding images in articles means adding extra days in your articles life or giving new energy to your article. Image are a strong visual component of any webpage and someone truly says that “picture is better than a thousand word”. It’s really get people to read your text with enjoy and also strengthen your message. It also play a great role in decrease bounce rate of your blog. But do you know Image can also help to increase your website ranking and improve accessibility of your website? Yes, you are reading correct…Image can help you in getting visitors from Image search engine so if you are using quality images in your blogs and apply proper strategy then it help in improving your site ranking. If you are not having quality images related to your post then also you can use Google image advance tool and take royalty free images for your blog. Please make sure not take images from Google image directly without giving credit to site otherwise your site may complain of copyright to Google. Every one try to add best available images on their site but Do you know Google can’t understand your images? yes Google need some extra information to understand your image well. So in order to make sure google understand your image and you will get some extra traffic from Google image search engine then you need to follow few thumb rule of image SEO optimization. 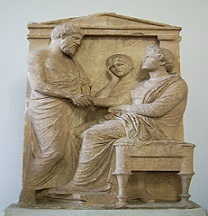 Alt text means alternate text of image and it shows in place of image when browser disabled image or image not loaded for any reason. It should describe what your image all about and help Google bot to recognize the images. Google bot use alt text and title text mainly to predict what image all about. So be careful in providing both tags. Below are technical way of providing alt text. It should describe image properly. Try to write alt tag in 3-4 word. Do not use _(underscore) and -(dash) use between words. Don’t use alt tags for decorative images in your blog. Search engines may penalize you for over-optimization. So when image load correctly then it look like in 1st image and when image not load successfully (might be due to mistake name or location or something other issue) then it shown Alt text instead of image as see below. 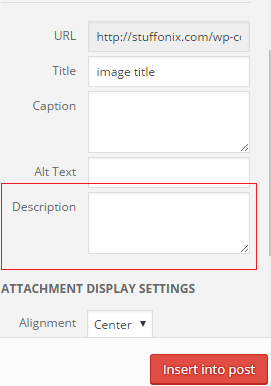 If you are using WordPress then you can provide alt text by using options available at right side while uploading image. You can read how Google also define “alt text valued in image” just go through Google image guideline or you can watch below video to know importance of Alt tag. 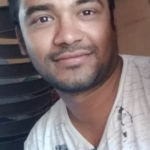 Important note – Image alt text not only help in getting good ranking but also help visually challenged people who use these keyword to assume what image all about . So make sure to use proper alt tags in image. This tag also include in image html code and use like below. In Below image you can see how title text shown when we move our mouse over image. 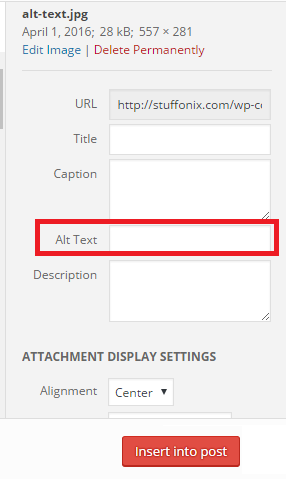 For wordpress user they can see title text option same as alt text. 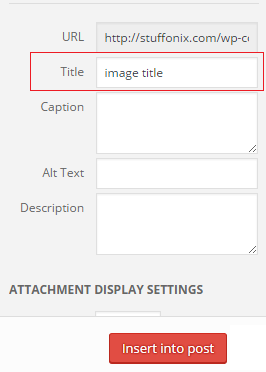 By default wordpress use title same as file name. So make sure change title text and use hyphen(-) between each word like “wordpress-title-text”. Note:- Do not use underscore(_) instead of hyphen(-) while write title. 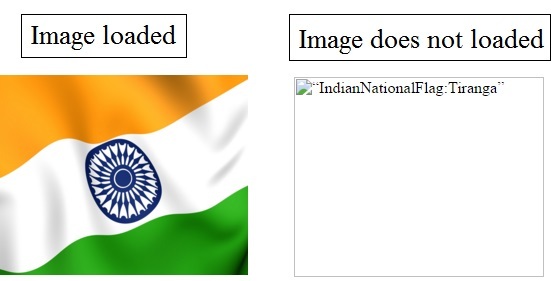 File name means name of your image and it should be valuable for image optimization for example if you are showing Indian president image then write indian-president.jpg instead of 12jdd4.jpg or any awkward name. Google and other search engine also use file name to show your image in search. You can use more focused keyword in file name so it help in SEO of your website. Note:-Use hyphen/dashes between all word. Describe your image with more number of words and add keyword so that it increase probability of your image to get at top in Google image search. Alt tag is also use for same purpose but in concise way and here we can describe with long wording. For WordPress you can see description in same place as alt text & title text. Google don’t like slow loading sites so it keep them away and not show at top search result. In this fast digital world if your site are taking more than 15-20 seconds in loading then you need to check your image size as most of time image found as culprit in slow page loading. Before upload please use online image compression tools to reduce your image size without losing quality of your image. Please also upload image as per required size like suppose you required only 200 pixels width and height image and you have 2000 pixels image then before upload please change size outside then upload. Sometime people adjust size after upload but it does not help because even you make it small after uploading by pushing sides, it take same memory and time to load. As per my knowledge if you convert png into jpeg image then also most of time your image size get reduce. Some time image caption help you to hold user on same page because most of user read caption text first so it help you to not increase your website bounce rate. If you see below image then it is hard to know what it all about but if you read caption then you will understand it more better and feel interest too. So many time caption help blogger to deliver information more appropriate. 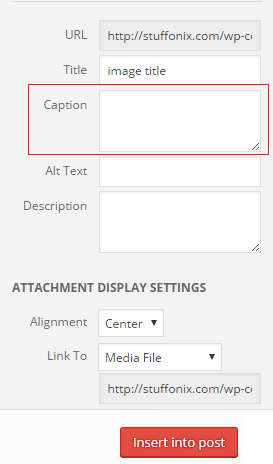 wordpress user can add caption same as alt text like below. This process may take time but If you do not want to invest money in marketing then follow above process, it give you organic traffic without marketing. Hope you like this blog post and use all above tips to make your image seo optimize and get more traffic from image search engine. If you know any other tips then please share so we can share with our reader.